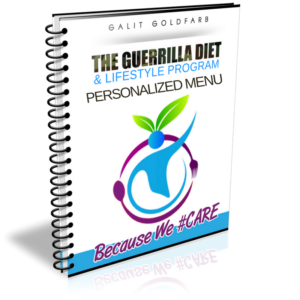 Now You Can Lose Weight For Good With Your Own 12-15 Page Personalized Menu Plan Based On Your Personal Needs! If you’re looking for simple guidelines and a personalized ideal menu to follow to lose weight and improve your health immediately — I invite you to our Ideal Personalized Menu Plan for Your Personal Needs - based on the guidelines found in my research on The Ideal Diet For Humans. Each menu is created for you taking into account your current health situation. Your weight loss results will be outstanding! Quantities that will ensure gradual but steady and lasting weight loss. To ensure you get the perfect balance of fluids to keep your cells healthy. You will ensure you get the right balance of protein, carbohydrates, fats, vitamins and minerals to support your health. To create a different reality for yourself, you must make different choices! When you claim your copy of Your Personalized Ideal Menu, you’ll be getting a complete A-Z solution for your health and weight issues. VEGAN Options Available To Help You Do It Right! As a special bonus for purchasing your Ideal Personalized Menu, you receive access to a Special FREE bonus training a few days after receiving your menu. Ready To Make The Right Change? Get Your Ideal Personalized Menu and start on a new path to optimal health within 72 hours after completing a short questionnaire.